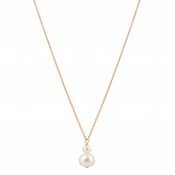 Pearl wedding jewellery never goes out of style, and when combined with dazzling diamante and the finest sterling silver, it guarantees to make a standout addition to your big day. 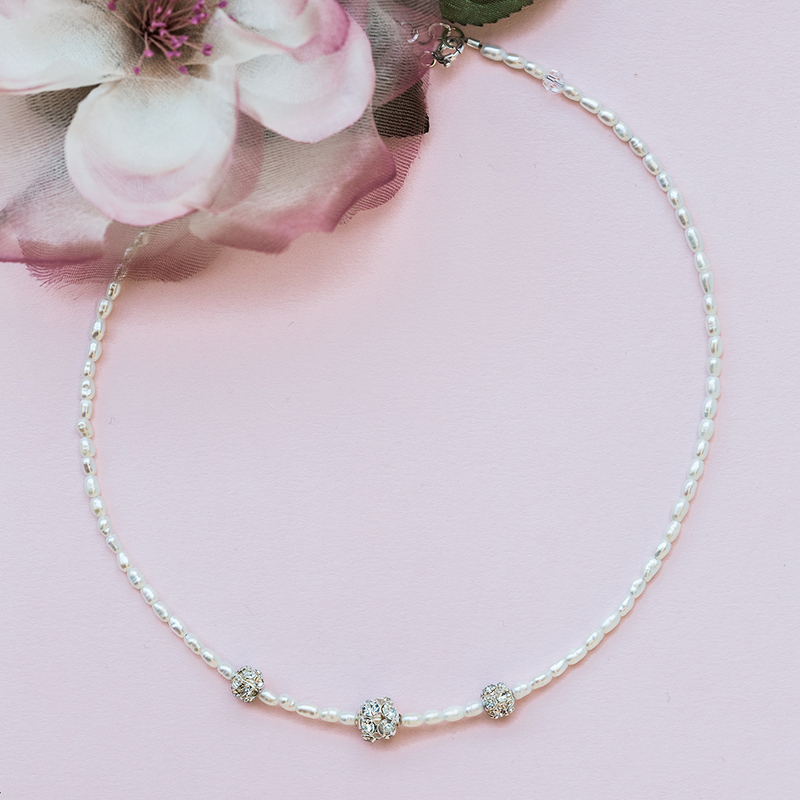 The Stella Seed Pearl and Diamante Bridal Choker includes all of the above, which is perhaps why it remains one of the most sought-after pieces in our exclusive Stella Collection. 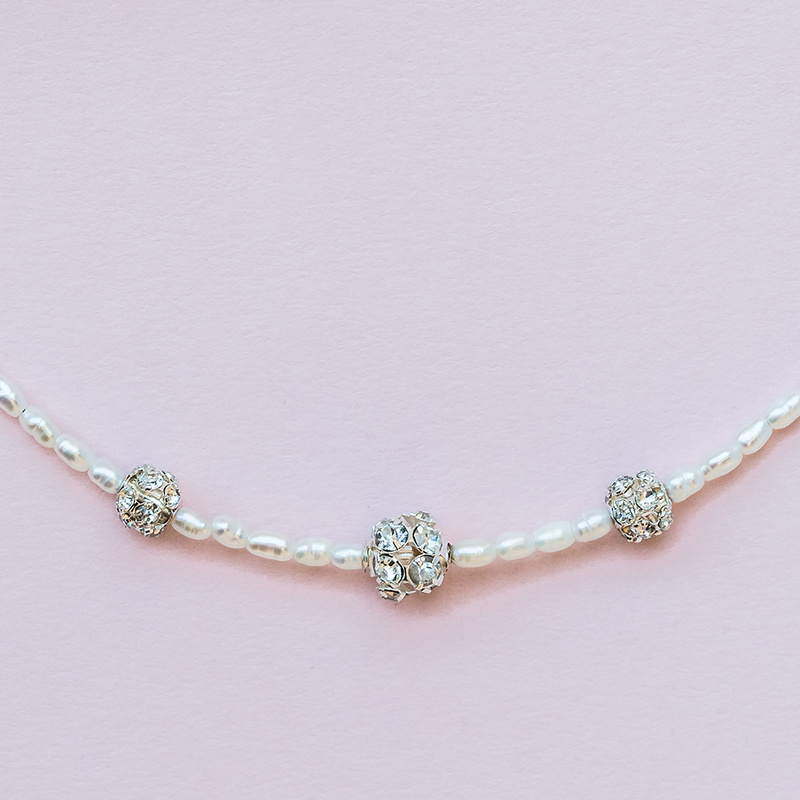 Made for contemporary wedding dresses, strapless ballgowns, and slinky vintage creations, this Pearl and Diamante Wedding Choker features a string of iridescent seed pearls beautifully embellished with a trio of diamante encrusted balls. 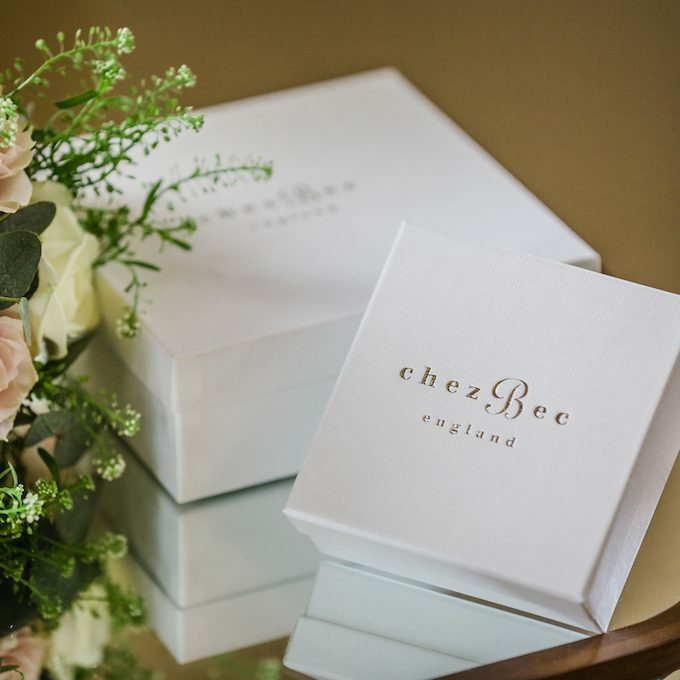 Designed to sit high on the neckline and complement every wedding dress design, it is an exquisite piece of bridal jewellery for modern bridal parties. 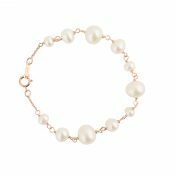 Be the first to review “Stella seed pearl and diamante bridal choker” Click here to cancel reply.